I have read and understood the terms and conditions written on the back of this form and I hereby agree to abide by these as well as any future DHA Bahawalpur rules and regulations. 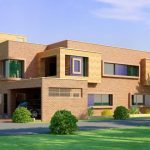 The name of the project shall be DHA Villas, DHA Bahawalpur. 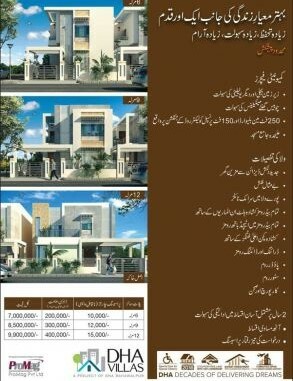 The villas to be offered to the buyers in the project shall be on ownership & allotment shall be through balloting. Quarterly installments shall be payable by the 5th of each month through cheque / demand draft / pay order. Prompt payment of installments on the due dates as per payments schedule is the essence of this contract. The applicant shall make the payment of installments within the period specified in the demand notice. If the applicant fails to pay the dues within the period in the final notice, the application will be liable to cancellation as per term (5) of this form. In case of failure, on the part of the applicant, to make payments within the prescribed period or after FINAL NOTICE, the application/ allotment will stand cancelled. The amount deposited by the applicant shall be refunded after the completion of the project. An amount equal to 20% of the total cost of the villa agreed will be deducted from the refundable amount. 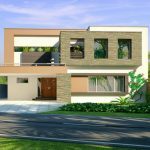 Alternatively refund will be made by re-selling the buyer’s villa to a new buyer when found and the refund will be made after 20 days from the date of payment made by the new buyer. The application in respect of the allotted villa shall be executed only after payment of all the dues and other charges are made against the said villa. The applicant will pay transfer expenses, documentation charges and all other ancillary and miscellaneous expenses to the DHA Bahawalpur as determined by them for fulfillment of formalities of various department/ agencies as and when asked by the DHA Bahawalpur within the prescribed period legal time, the cost of unit does not include ground rent, lease execution registration and expenses, electric, water and meter charges. The allottee will pay all taxes and other charges levied by federal or provincial Govt, local bodies and Municipal Bodies or any other authorities, including those existing at present and those, which may be levied by the above-mentioned, and / or other authorities in future. Registered persons/ members are requested to make payments as per schedule. A surcharge @ 18% per annum for each day of delay shall levied for the amount in default as per DHA regulations. In case of corner villa, 10% additional charges will be paid with final installment. DHA reserves the rights to alter the allotment or make adjustment, relocation of villa, if the need so arises, In view of escalation/ others essential reasons, additional development charges may be imposed if necessary and the same will not be challenged at any forum. Formal allotment letters will be issued after payment of development/miscellaneous charges. I hereby declare that I have read and understood the terms and conditions of allotment of the unit in the project and accept the same and further declare that I shall abide by the existing rules, regulations, requirements, etc, or any other conditions that may be prescribed by the DHA Bahawalpur for the lease and maintenance of the project from time to time.